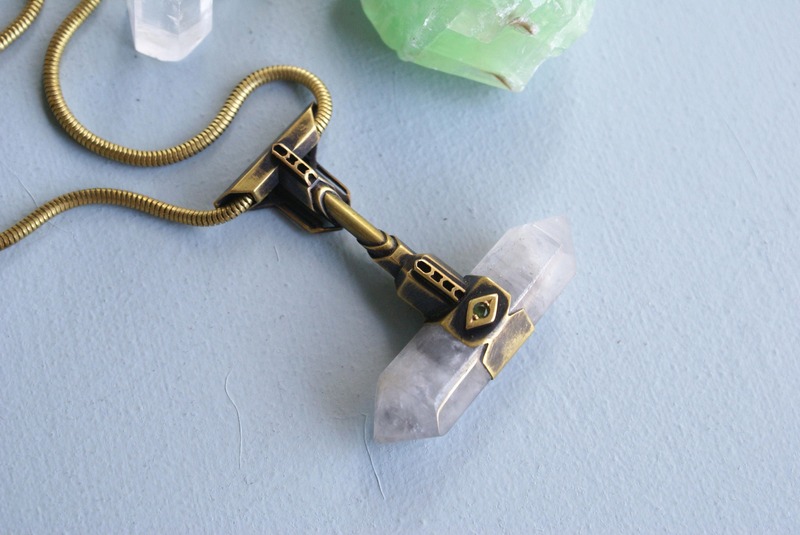 This sci-fi movie inspired pendant is the product of a "play day" I took for myself-- it's so necessary to take the time to create whatever comes to mind every once in a while! I LOVE where this piece took me, and I'm excited to go further along these lines to make more futuristic space-craft inspired pieces! 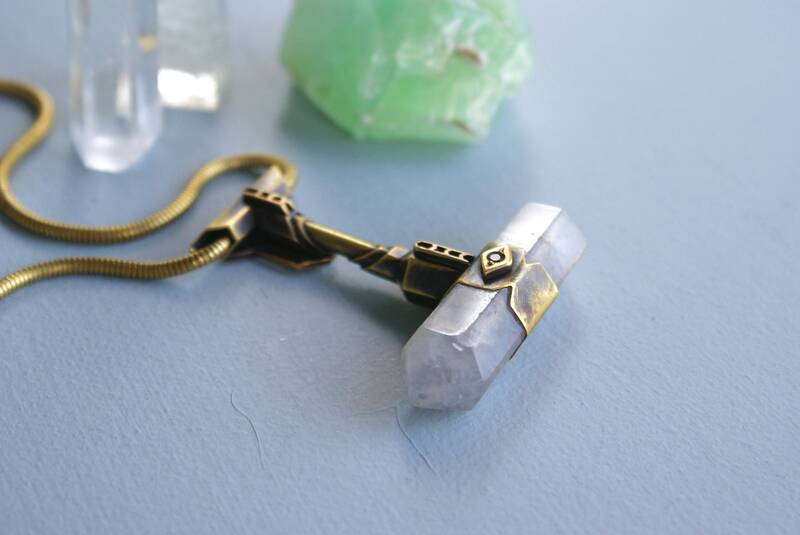 The necklace features a double terminated (double pointed) quartz crystal with milky grey inclusions. The crystal is set at the bottom of an intricately fabricated system of brass bar stock and tubing. 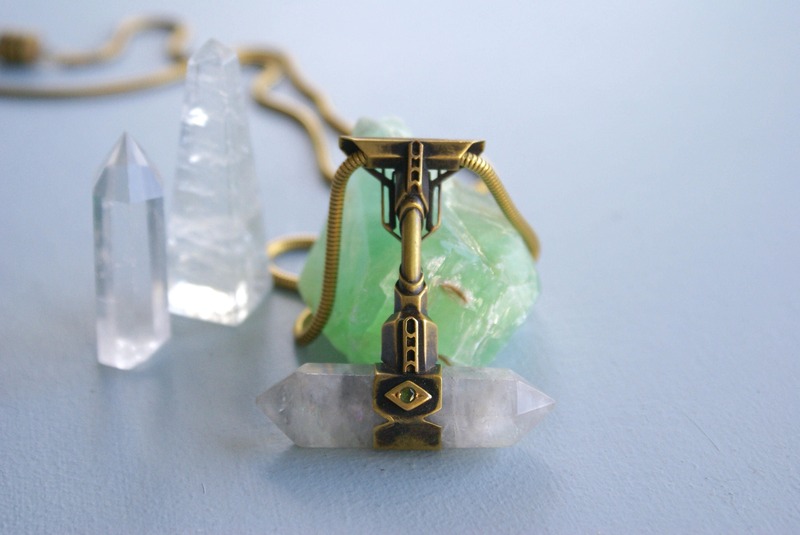 The entire pendant is made up of 12 individual pieces of brass, all pieced together and soldered in place with precision. The front of the crystal has a single 2.5mm faceted tsavorite gemstone (green garnet) that is bead-set into place. 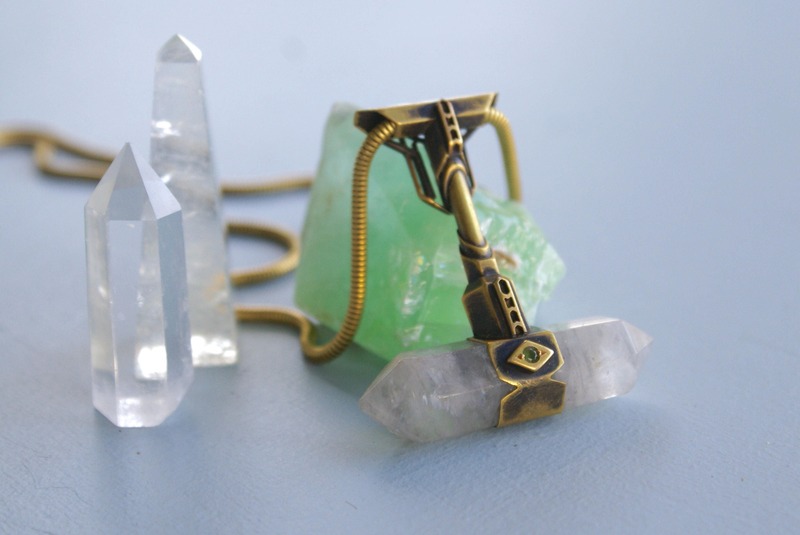 The pendant is solid and weighty, and measures approximately 2" from top to bottom. The crystal is about 1.25" from point to point. 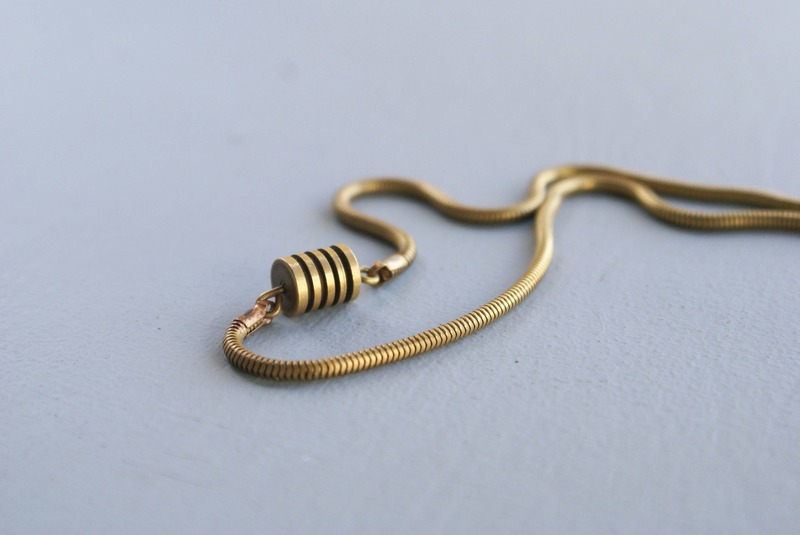 It is suspended from a 24" thick snake chain with a vintage brass clasp.